The query raised in the last line of that horribly maligned takeoff on Lewis Carroll’s delightful poem from Through the Looking Glass will not be addressed in this article, but we are partially informed as to the meaning of the other magic words alluded to by a recent Elon Musk tweet-fest. Of course, the really big news from those sweet tweets — all-wheel drive(AWD), a performance version, white interior, so forth and such as — have been covered here already and in “the forums.” All that is fine and well, but for those who love to peak under the hood at the Model 3 powertrain, I can hopefully enlighten you a bit. Those tantalizing tweets told us two things. Elon revealed a bit about the Model 3’s motors; both the current rear wheel drive (RWD) motor as well as the pending front wheel drive motor that will transform the 3 into an all wheel drive juggernaut. And, Mr. Musk leaked about a new technology transistor being employed in the inverter; the all-important device that turns the direct current (DC) from the battery into the pulsing magnetic field capable alternating current (AC) which spins the rotor. Let’s see what we can extrapolate from those statements. First, it has been speculated by some that the Model 3’s rear-wheel drive motor — which was acknowledged by Tesla’s Chief Motor Designer Konstantinos Laskaris to be a permanent magnet (PM) motor — was in fact a derivative of a traditional PM machine, or more specifically that the motor was based on an 1838 design termed a reluctance machine. 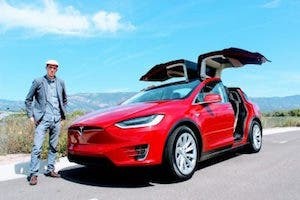 In March, I wrote a speculative piece that rounded up the best arguments others have put forward to suggest there was good reason for Tesla to jump ship on its namesake induction motor and outfit the affordable Model 3 with a far less expensive (to produce) reluctance motor. As of now, that speculation has proven correct. We have it from an unimpeachable source — Elon said so. So there it is. We now know everything there is to know about the RWD motor in the Model 3, right? Hmm, not exactly. 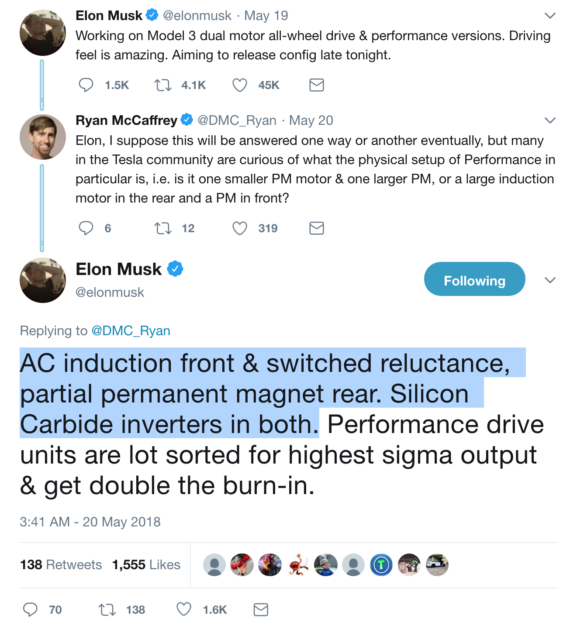 The phrase “partial permanent magnet [motor]” is a rather generic description that fails to inform the really serious motorheads among us as to whether Tesla has employed a now tried and true reluctance/PM hybrid design (perhaps with a generous portion of Tesla Engineering secret sauce) … or if the company has broken fresh ground by relocating where the magnets augmenting the reluctance forces reside in the motor. To many, the location of the PMs is mere nuance, but there may be a question of significantly improved performance when the location of the PMs is optimized. 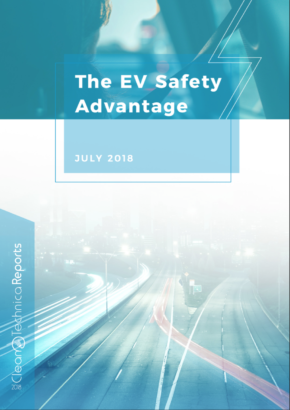 Recall that the long abandoned reluctance design was revived thanks to the revolution of modern electronics, and motors based on the reluctance machine have found their way into hybrid, plug-in hybrid (PHEV), and pure battery electric vehicles (BEV). It is only recently that I learned what an astonishing array of automakers employ this hybrid reluctance motor design (special thanks to Model 3 Owners Club top contributor Karen Rei for enlightening me on this topic). 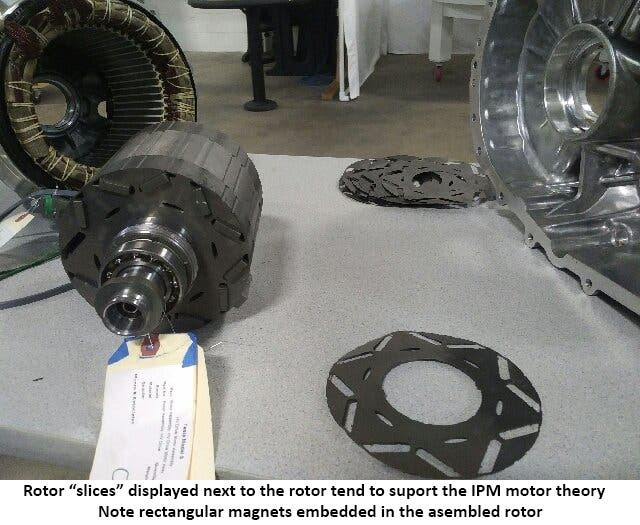 EV makers such as Ford, Toyota, Honda, GM, BMW, Lexus, and Nissan have employed a version of the reluctance machine classified as the Internal Permanent Magnet (IPM) motor, with the magnets acting to augment the reluctance torque of the motor. The key word here is internal. Unlike a traditional PM motor, where larger permanent magnets are attached to the surface of the rotor, IPM motors have smaller PMs embedded beneath the surface of the rotor. The below collage of IPM rotors showcase the chevron-shaped reliefs where the magnets are inserted. Of course, based on Mr. Musk’s tweet, we don’t know if the Model 3’s rear motor uses that Internal Permanent Magnet Switched Reluctance Motor (IPM-SRM) or if it instead employs the ground-breaking Permanent Magnet Switched Reluctance Motor (PM-SRM), the latter of which is the product of recent research whereby the PMs are embedded not in the rotor but in the stator (which again was a point of discussion in my last article on the Tesla Model 3 motor). At the time of Elon’s tweet, none of the four publicly acknowledged Model 3 teardowns to date had shown the motor in close enough detail to answer this continuing question. However, that has now changed. We motorheads have subsequently been given a break this past week. It started with the video and photos from the well publicized Munro & Associates teardown of a Model 3. There is a video of Sandy Munro discussing the teardown on Autoline, and Motor Trend later published a slideshow gallery of the teardown. The initial set of photos gave us a look at what may be the first external view of the Model 3 motor. Take a look at the below Motor Trend snapshot of one of the display tables. There’s a small motor laying on that table. From the scale of the surrounding items, I’m guessing it is 4″ to 6″ in diameter. Next to that motor is a ring gear labeled “Tesla Model 3” … “Ring Gear Differential.” Those parts would be driven by the traction motor. So, at first, the question was: Is this the traction motor from the Model 3? Followed by: If so, where are the protruding stator windings? Where are the three fat power cables? Then I started thinking that perhaps it was just the rotor we were looking at. Maybe the stator was laying elsewhere out of frame? One item supporting the notion of this part being just the rotor is the mark on the outer edge of the front flange. See that little round indentation at the top? That’s a drill mark. Drilling away a small amount of material is how such parts are balanced so that they spin evenly. That part spins! But the surface of that supposed rotor is a bit uneven. Could that part spin as well? For all one can tell from this photo, it may be that the shaft and the end flanges spin inside the fixed “can” surrounding the rotor. Clearly, both theories had their issues, yet for reference, the Chevy Bolt motor is listed at only 8″ in diameter, so it is within the realm of possibility we are looking some part of at the Model 3 traction motor in the photo. 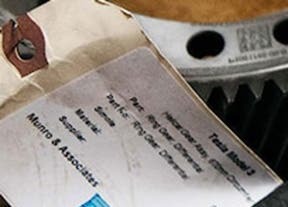 To help solve the motor riddle, I decided to contact Sandy Munro directly. It turns out Mr. Munro is quite the gentleman. He was kind enough to provide me with the below photo of a complete Model 3 motor. Whoo-hoo! Now we’re getting somewhere! That was just the rotor in that preliminary set of photos. Then lightning hit. I asked Mr. Munro a bit about the ongoing IPM-SRM vs PM-SRM theory. He in turn provided me with the next photograph. What does that shot tell us? Well, based upon my recent education as to what an IPM-SRM motor looks like, this device certainly conforms to the profile of an Internal Permanent Magnet Switched Reluctance Motor. In fact, you can literally see the rare earth magnets at the end of the rotor. OK, so now for sure we know all about the Model 3 motor, right? Maybe we do. Maybe we don’t. Yes, we now have a more complete view of the motor components, and certainly the motor has ISM attributes. But until an EV motor engineer confirms something along the lines of — “Nothing more to see here, move along now.” — perhaps we shouldn’t be too quick to set our perceptions in concrete. I, for one, would like to see a full teardown of that stator, or at least run a magnet around its interior and see if it wants to stick to anything (copper is conductive but not strongly magnetic). But for now, let’s rest our case. Why not? We may be dealing with a best-of-all-worlds scenario. Each of the two motor designs has its pluses and minuses. With one of each design powering the car, the computer can choose the “best man for the job” at various speeds and varying torque requirements. I’m not going to go through whole big comparison scenario of the two designs, though. It’s easy to google the differences — and, frankly, lists of attributes vary from site to site and even conflict with one another at times. Plus, there is what I would term “design nuance,” where proprietary engineering enhancements made by Tesla may nullify what we read about regarding the generic design of these machines. The one downside that is worth noting with the induction machine is that it incurs more “rotor losses” than the reluctance machine. Losses simply mean inefficiencies that result in heat. The copper rotor of a Tesla induction motor gets hot. Now as to how Tesla has addressed rotor loss for the induction motor it is planting in that front cavity of the Model 3, we can’t say as yet. 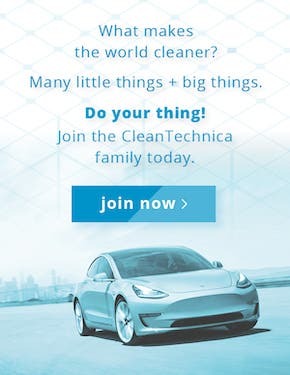 The company may or may not be using an off-the-shelf Model S/X motor. We just don’t know. I will say I’ve been noting repeated signs that Elon Musk is dead serious about his “million mile powertrain” goal with the 3, so it will be interesting to see how Tesla will be keeping the AWD motor in the Model 3 temperature stable. 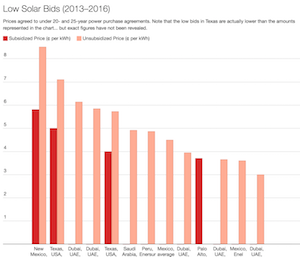 One of Elon’s tweets gave us a small detail as to why the Model 3 inverters might be new tech. All he teased was “Silicon Carbide inverters in both.” What exactly does that mean? Not sure. I’m not an electrical engineer, nor a chemist. I got kicked out of high school chemistry lab for trying to make something that behaved like Fizzies on steroids. Nonetheless, I poked around a bit and am happy to share what I stumbled upon. Silicon carbide is a compound of silicon and carbon with the abbreviation SiC. It is a semi-conductor with a crystalline structure, just as silicon is. The Wiki page for Carborundum lists an astonishing array of applications from lightning arresters to Quantum physics. Interestingly, silicon carbide is an ingredient in some advanced ceramic coatings used to protect the paint on a car. Silicon carbide is also known as carborundum. I can’t help but smile at the fact that the first four letters of carborundum match that of the word carburetor — a simile I’m sure was not lost on CARB (California Air Resources Board). The pair of terms sort of bookend the breadth of how far we’ve come with motor tech. Long before fuel injectors breathed the correct gasoline air/fuel mixture into the infamous internal combustion engine (ICE), the venerable carburetor had the job of metering the mixture clear back to when the ICE was perfected (circa 1885). 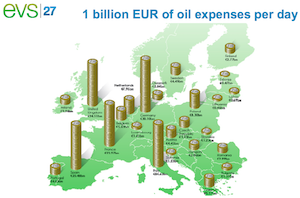 Petrol and its metering technologies are now being viewed in the rearview mirror by many. Magnetism, electricity, and electronics have stepped up to enable a cleaner and more efficient way of propelling us down the highways and byways, with the inverter metering the flow of electrons into an electric motor. That’s progress for you. Bingo. The key phrase there may be Insulated-Gate Bipolar Transistors, otherwise known as IGBTs. Those are the babies that meter the power in modern inverters. Now, of course Elon’s tweet did not specifically state that the inverter’s IGBTs are now based on silicon carbide, but the internet is replete with papers, such as here and here, telling us about SiC-based IGBTs. A nice overview of SiC based devices working their way into the EV world is found in a Power Electronics article. In fact, a 2012 Charged EV piece showcased an inverter/motor combination from Mitsubishi based on SiC IGBTs (and for all we know the Model S and Model X now employ SiC IGBTs as well). You may be noticing that the SiC IGBT seems to have a history somewhat parallel to the reluctance machine. Both technologies were around for a quite while before refinements in the 21st century evolved them to where they were finally ready for primetime in an electric car. The small photo above and to the right is simply an off-the-shelf SiC IGBT. The bigger photo above is part of the Model 3 inverter. This assembly is apparently embedded into the motor case in order to live in close proximity to the motor and could very well be sporting an impressive array of IGBT chips. Now we’re playing with power! Note the inverter is labeled inverter/converter. In other words, it’s a combo DC-AC inverter and AC-DC converter. I can’t resist some additional speculative commentary by postulating what the function of the AC-to-DC converter might be for. We already know what the DC-AC inverter is for, right? Whether an induction or reluctance motor, the electromagnetic field in the stator of all Tesla vehicles is created by 3-phase AC power (three separate legs of high voltage) that switch on and off, thereby creating pulses of electromagnetic energy. That’s a natural function of alternating current, and the DC-AC inverter creates that requisite AC power from the battery. But why the AC-DC converter? I suspect that this is for charging the traction battery from regenerative braking. When the wheels spin the motor (as opposed to when the motor spins the wheels), the motor must be creating AC voltage. That voltage has to be converted (rectified) into DC high voltage to charge the traction battery. For the sake of completeness we should mention that in his recent Model 3 battery teardown video, Jack Rickard of EVTV points out a separate converter which lives in the penthouse residing atop the rear of the battery. Termed the Power Conversion System, this unit does an AC-DC conversion of 120/240 volts AC either from an outlet or from a Level 1/2 EVSE (Electric Vehicle Supply Equipment) device to the high-voltage DC needed to charge the traction battery. The unit also incorporates a DC-DC converter that steps down the traction battery voltage to power the onboard 12 volt systems, as well as charge the 12V battery. Still with me? What can I say — it’s an electric car. When you add it all up, the earlier German teardown, the Ingineerix walk-through, the Munro teardown, and the Jack Rickard teardown speak volumes. 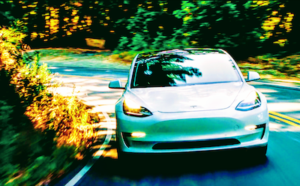 Although it could certainly be argued that the Model 3 is a work in progress, it becomes crystal clear that a world of innovation has gone into producing this very exciting car. Full disclosure: I am biased. I have a reservation.